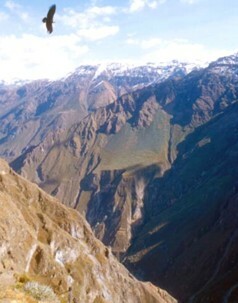 The Colca canyon is reportedly the deepest in the world, thought to be twice as deep as the Grand Canyon in the USA. 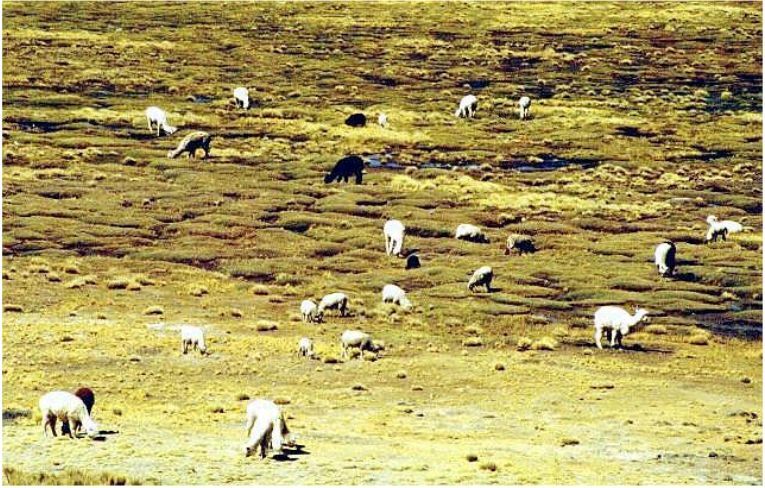 Unlike most of the Grand Canyon, portions of the Colca canyon are habitable, with pre-Colombian terraced fields still supporting agriculture and human life. 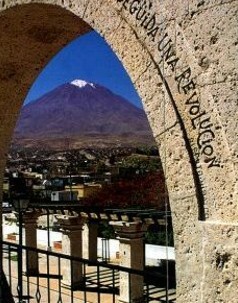 Located 148 km northeast of Arequipa and about 4 h drive. 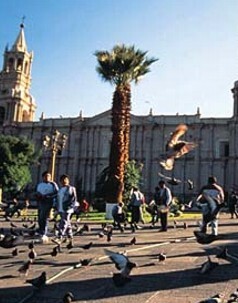 To follow this circuit travelers must head for the northwestern part of Arequipa to Yura until reaching the cove known as “Mirador de los Cóndores” (natural outlook). From there it is possible to make out the snow-capped summits of Ampato and Sabancaya. The descent continues down to Chivay. Early morning after breakfast leave for a full day excursion. We departure to Cruz del Condor where you can appreciate the flight of the condors. 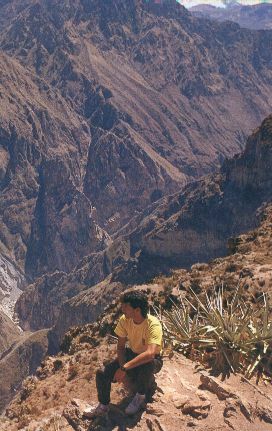 Also the Geographical Impressive scene, view of the depth of the canyon, typical people, incredible amount of Pre Inca terraces still farmed, colonial churches embroidered dresses, very good food novo Andean and visit to the village of Cabanaconde, in the afternoon return to your accommodation. All scheduled land transportation. All transfers. 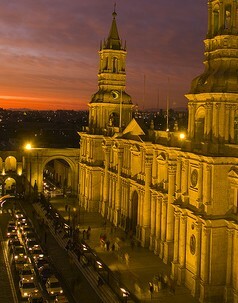 All scheduled excursions with English-speaking guide services. All entrance fees. Meals as specified in the itinerary. B=Breakfast; L=Lunch; D=Dinner. Accommodation. International or domestic airfares, airport departure taxes or visa fees, excess baggage charges, additional nights during the trip due to flight cancellations, alcoholic beverages or bottled water, snacks, insurance of any kind, laundry, phone calls, radio calls or messages, reconfirmation of international flights and items of personal nature.